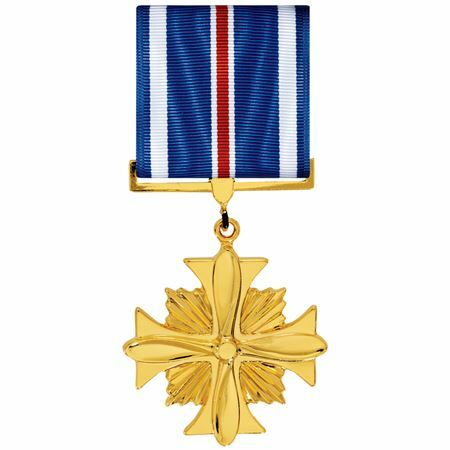 The Distinguished Flying Cross is awarded to any person who, while serving in any capacity with the U. S. Navy or the U.S. Marine Corps, distinguishes himself by heroism or extraordinary achievement while participating in an aerial flight. To justify this decoration for heroism, an act in the face of danger, well above those actions performed by others engaged in similar flight operation, is required; for achievement, the results accomplished must be so exceptional as to render them conspicuous among those accomplished by others involved in similar circumstances. Establishment of a new aerial record does not necessarily qualify as an extraordinary achievement in aerial flight.